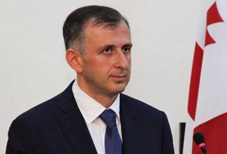 The former head of the government of the Autonomous Republic of Adjara Zurab Pataradze has been appointed as Georgia’s Ambassador to Azerbaijani on Monday, the administration of the president of Georgia confirmed. Pataradze was appointed by the president as the president is authorized for such decisions. 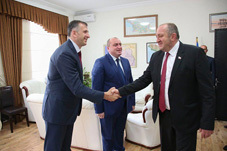 Pataradze was presented for the role of the Adjara government head in 2016 also by President Giorgi Margvelashvili, which is an executive body. However, he left the post this year without providing reasons for the step. The opposition claimed that Pataradze had to quit his post as he was in a friendly relationship with former Prime Minister Giorgi Kvirikashvili, who also resigned this year due to the controversies with the founder of the Georgian Dream ruling party, billionaire Bidzina Ivanishvili. Zurab Pataradze is a Georgian diplomat who was elected as Chairman of the Government of the Autonomous Republic of Adjara on 15 July 2016. He left the post in July of 2018. Pataradze previously served as Georgia’s ambassador to Kazakhstan. He used to work as General Consul in Turkey in 2011-2012 and also worked at the Anti-Organized Crime Unit of Adjara Autonomous Republic’s Ministry of Internal Affairs before joining the Ministry of Foreign Affairs in 2000.